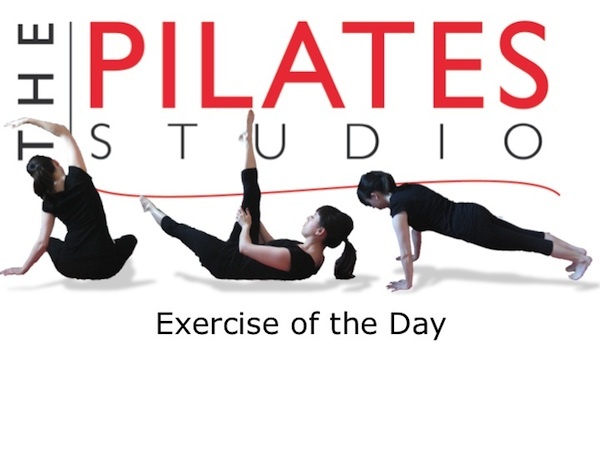 This exercise is a variation of the Classic Pilates Rolling like a Ball exercise. It is intended to help the body find a balanced curve of the spine. If you have osteoporosis you should not do this exercise, but please go to The Pilates Studio’s weekly blog and visit the posts for the month of Oct 2012. There are many osteoporosis friendly exercises that you can do. As you roll over each vertebra the movement should be smooth and even. Often if the deepest abdominals aren’t found the low spine does not find the balanced curve and you might hit the ribs on the floor as you roll.